Work to Weekend® Original Khaki is rated 3.9 out of 5 by 41. 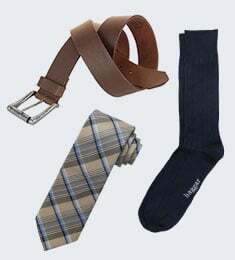 Rated 3 out of 5 by Don27 from Inconsistent I've been purchasing the work to weekend style for a few years. The sizing has changed - they are too long and baggy. Unfortunately I am no longer able to justify purchasing them. Rated 5 out of 5 by Cchrs from Comfortable and look good My favorite brand and cut of chinos. These are a little looser and have a slightly higher rise, which I like. The brown is a good color, too, a little softer than other brands. I've had several of this line of pants, and they hold up better than other brands I've tried. Rated 5 out of 5 by ADawg from Great value! These pants are the best value for a business casual paints. They are comfortable. 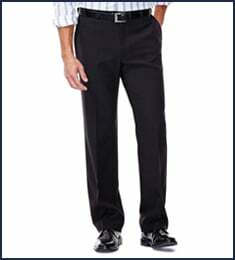 Haggar makes their pants in just about any size. Machine washable and yes they are machine washable! The pleats and hems stay in form after years of washing without having to iron them! I have become more than satisfied over the years with Haggers quality and durability to the point where I am now a loyal customer. I will only buy Hagger pants! In the Hagger line of pants I have found a consistency and durability! In today's world it is hard to find the quality, consistency, and value that Haggars pants represent! 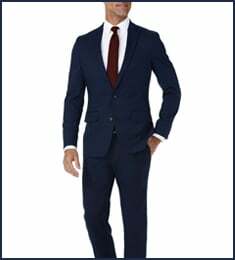 Rated 4 out of 5 by mike the man from haggar slacks I requested slacks with a large inseam (8-1/2 " zipper length) same as I have been buying for many years. The slacks I received had a short inseam (6-1/2 " zipper length) and had to return them. 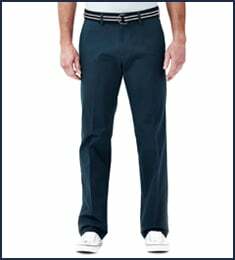 What is the zipper length in the big and tall slacks ? Rated 5 out of 5 by nola from Comfortable Great pants and comfortable to wear also love the expandable waist feature. Rated 3 out of 5 by Scottrs from OK, but... They appear to be approximately the same quality as those I've owned in the past. The Original Fit doesn't seem to be sold in stores, so can only get it here. The rise and waist measurements are STILL slightly skimpy, and they end up a little too long because the increased rise wasn't accounted in the inseam measurement. Still, they fit a gazillion times better than the "Classic" fit.